I wrapped up the talk with a discussion about when you would use OData compared to other technology, such as RIA Services. My rule of thumb was that if you are building an application that you control and your users will consume, you should consider technology such as RIA Services (if you are using Silverlight) or ASP.NET, MVC, etc. 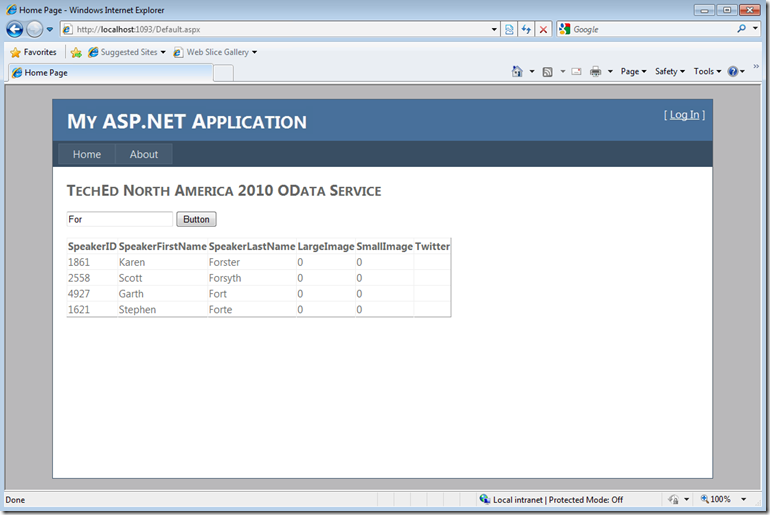 If you want to expose parts of your application as a data feed and let others consume it and build applications around it then consider OData. 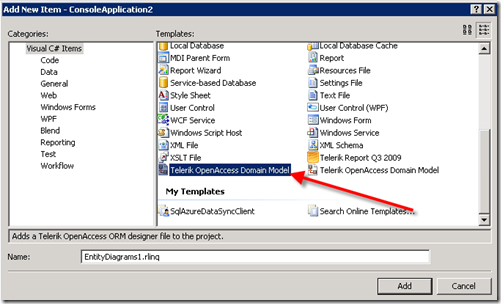 Telerik has released the latest beta of the OpenAccess Data Service Wizard. 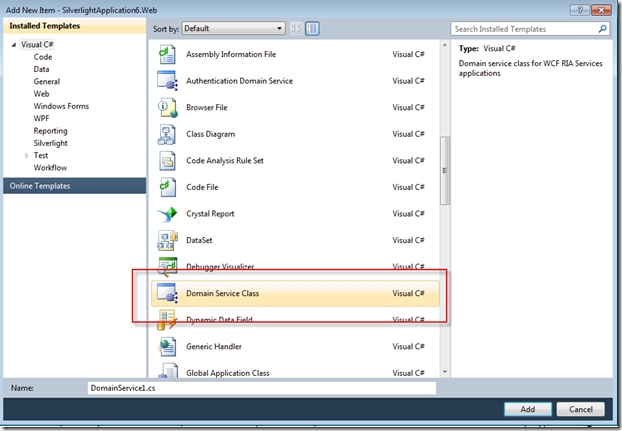 We now support Visual Studio 2010 RC! 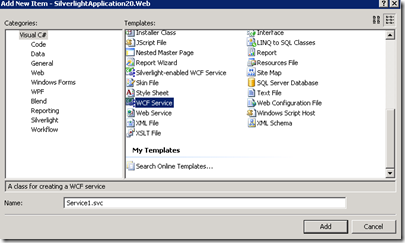 You can also choose to use WCF 4.0 as one of the services you can build. 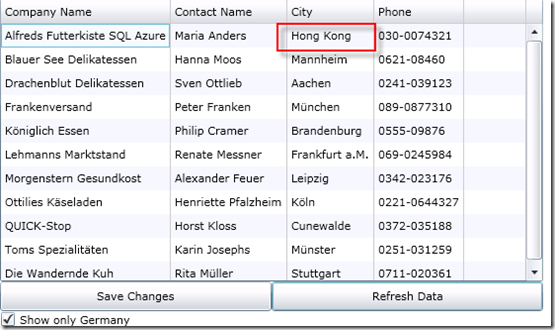 Based on your feedback we also added a new feature: the ability to automatically generate dependent entities. Download it today and give us your feedback. 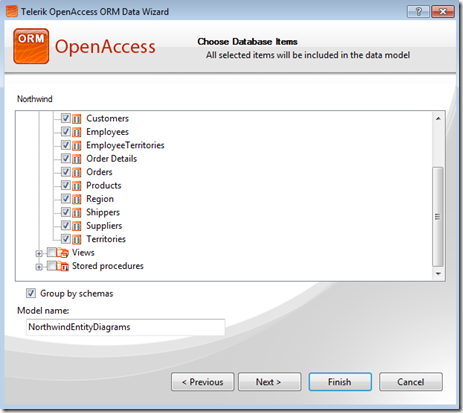 Next stop is the full release as part of our 2010 Q1 release of OpenAccess. See the OpenAccess roadmap here. .NET Ninja in training, Peter Bahaa, shows us how to build an AtomPub Endpoint using Telerik OpenAccess entities and the Data Services Wizard beta 1. 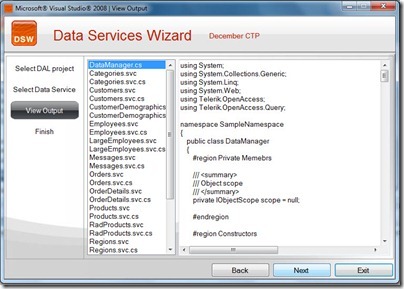 Telerik Data Services Wizard Beta1-ATOMPub from Stephen Forte on Vimeo. 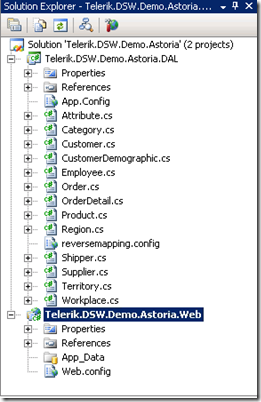 .NET Ninja in training, Peter Bahaa, shows us how to build a WCF Endpoint using Telerik OpenAccess entities and the Data Services Wizard beta 1. 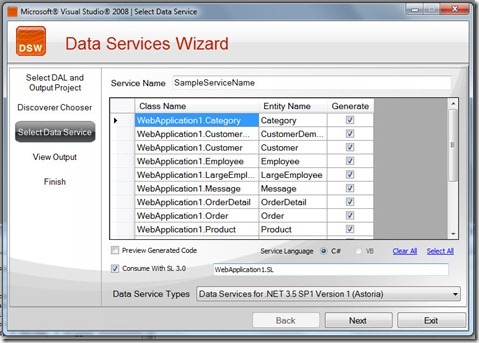 Telerik Data Services Wizard Beta1-REST Collection from Stephen Forte on Vimeo. 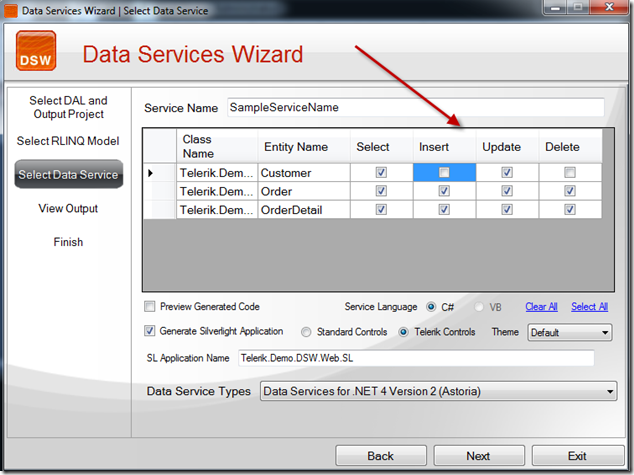 Telerik Data Services Wizard Beta1-WCF from Stephen Forte on Vimeo. .NET Ninja in training, Peter Bahaa, once again returns to show us how to build a WCF .NET Data Service (aka Astoria) using Telerik OpenAccess entities and the Data Services Wizard beta 1. 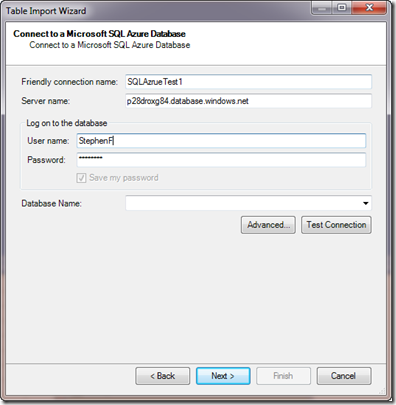 Telerik Data Service Wizard Beta1-Astoria from Stephen Forte on Vimeo. 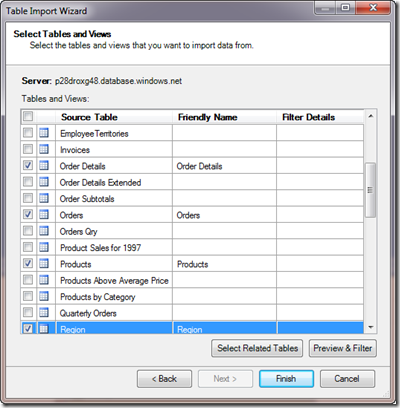 Last week Telerik released the Data Service Wizard Beta 1. 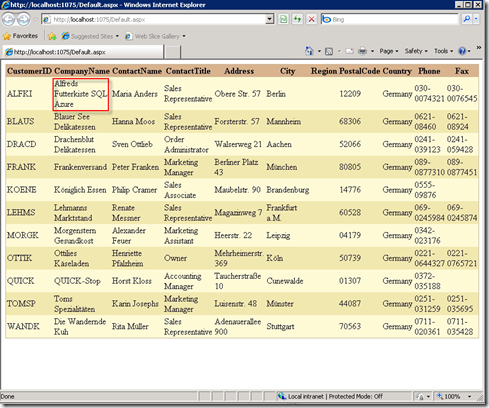 It will automatically create for you the end points for an Astoria, WCF, or RESTful service. 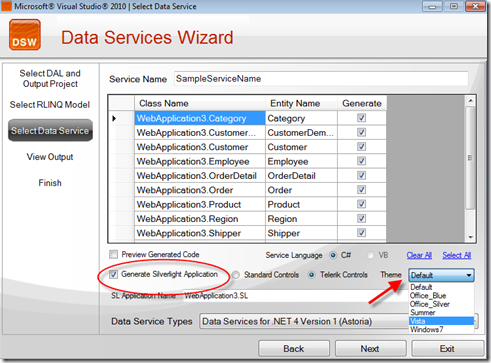 New in the beta of the Data Service Wizard is the ability of the wizard to automatically generate the DataServiceKey attribute required to make relationships in Astoria work. There is a very simple fix for this. You have to make your entity a partial class and then decorate the entity using the DataServiceKey attribute, in the constructor. 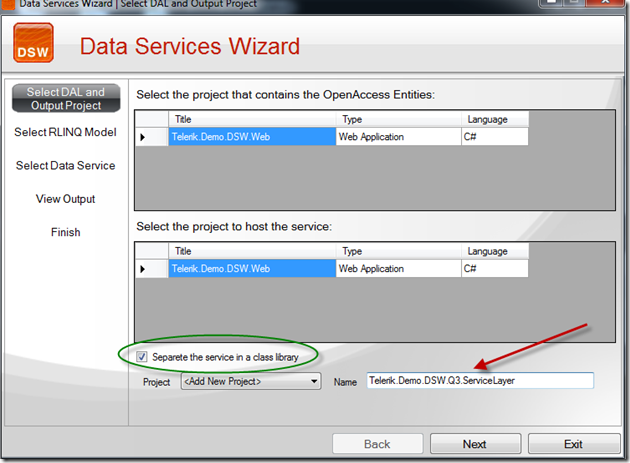 Recently we added support for this in the Data Service Wizard: by default we do this for you by adding a “DalDataServiceKeys.cs“ (or VB) file to your data access layer project automatically. 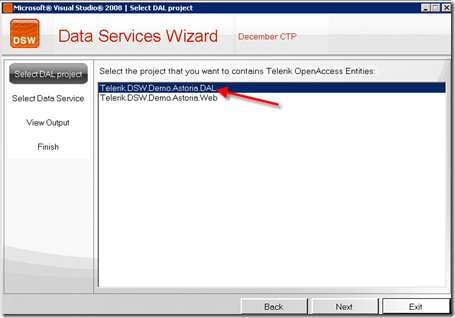 The code is show below for our DalDataServiceKeys.cs file shown in the Telerik.OA.DAL project above. You will notice on Line 36 we will even convert the complex type to a primitive CLR type so Astoria can handle it. 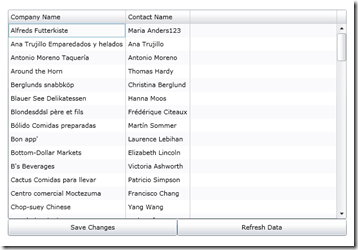 WCF 4.0 Support. We currently require the WCF 3.5 REST Starter Kit for two of our output modes: REST Collection and AtomPub. 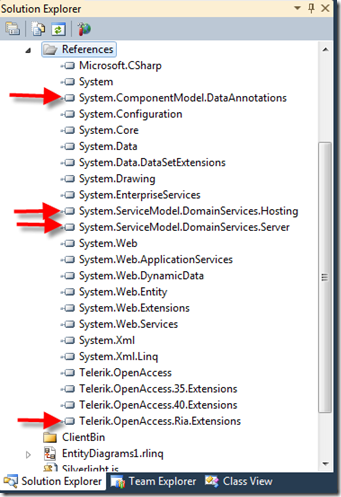 .NET 4.0 mode will eliminate this dependency and give you the option to produce WCF 4.0 REST services, etc. After the Q1 release the roadmap is not super clear. I will assume that core development will slow down a little and that we will then focus mostly on adding support for new service types. I am sure that by next spring, there will already be some new service types to support like the release build of WCF RIA Services, maybe a new CTP of Astoria, etc. Drop me a line and let me know what you think! 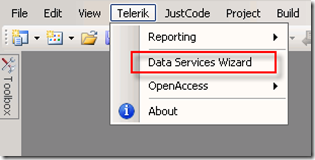 Also, the tech support team is adding a separate Data Service Wizard forum in the Telerik support forums, so even though the wizard is technically a “lab” project and not supported, drop by and ping the team with your questions there. We’ll answer all your support questions there as well. Enjoy and thanks for any feedback you send. 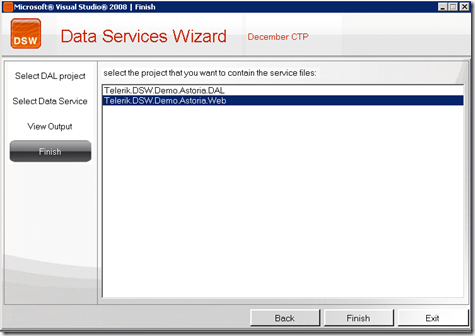 Telerik OpenAccess Data Services Wizard December CTP from Stephen Forte on Vimeo. 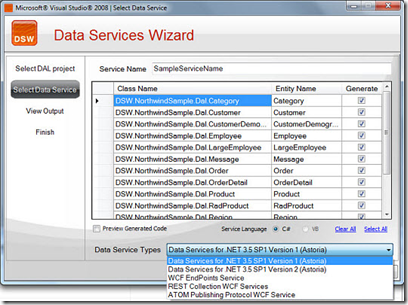 This version of the Data Service Wizard is very robust; we have made lots of changes based on your feedback. 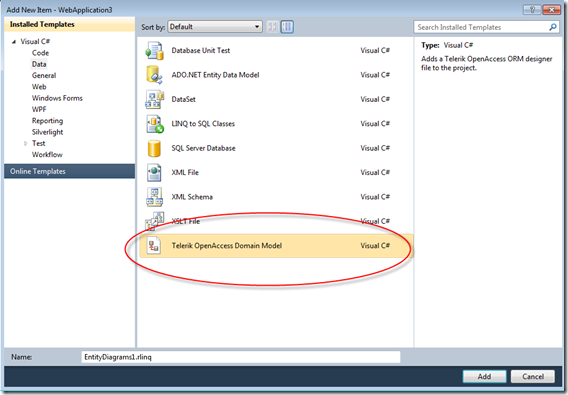 Our #1 piece of feedback from customers has been to integrate the DSW with OpenAccess and Visual Studio. 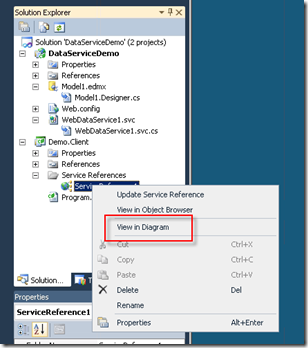 I am proud to announce that in this version the DSW is fully integrated with Visual Studio! 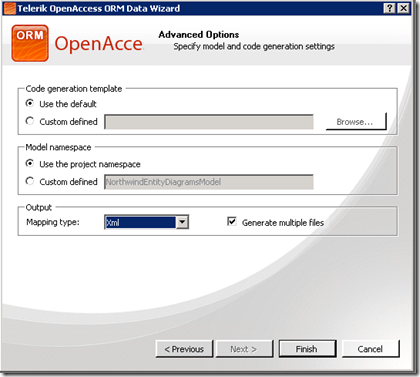 We have also started to integrate the DSW into the OpenAccess product itself. 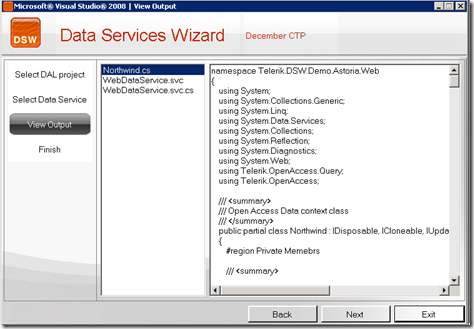 No longer is the DSW a standalone product; the wizard is now located under the “Telerik” menu in Visual Studio and looks like the other OpenAccess wizards. 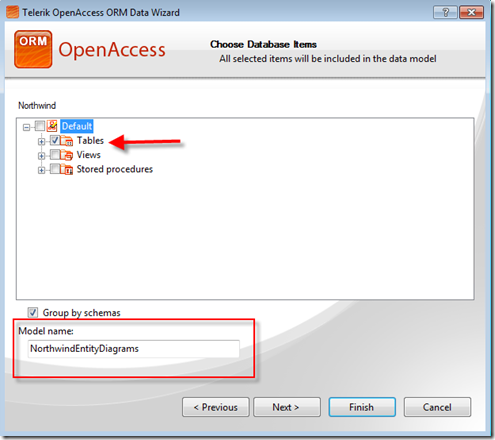 Integration will get tighter in the near future and soon just be part of OpenAccess proper, not a separate download. The basics of the wizard are the same. 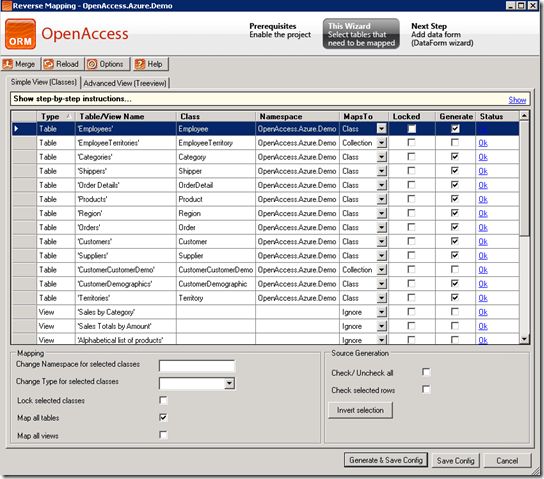 The DSW will ask you which project your OpenAccess entities are located in and then which entities you will expose in your endpoint. 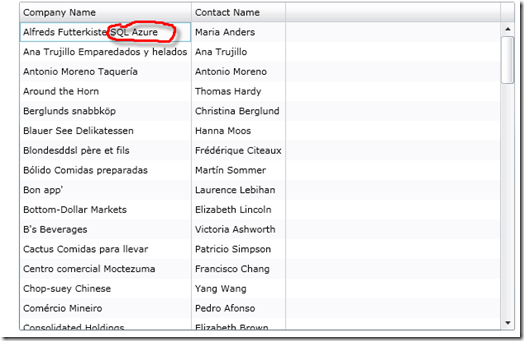 After you choose the entities you want to expose and what type of service you want to build (WCF, Astoria, etc), you can preview the code that is generated. 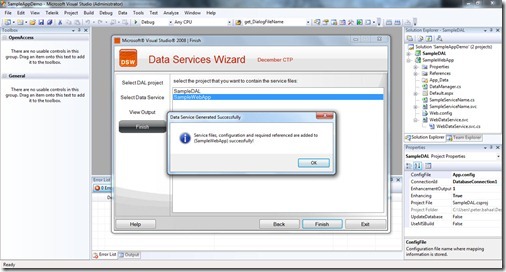 A major improvement with the December CTP is that you can now automatically insert these service endpoint files into a project, eliminating the manual step of copying them on over. This will make building the services so much easier! Future versions of the product will be fully part of OpenAccess and will also support RIA Services, Azure Services, and Visual Studio 2010 and WCF 4.0. Download today and send us feedback! Yesterday at the BASTA! 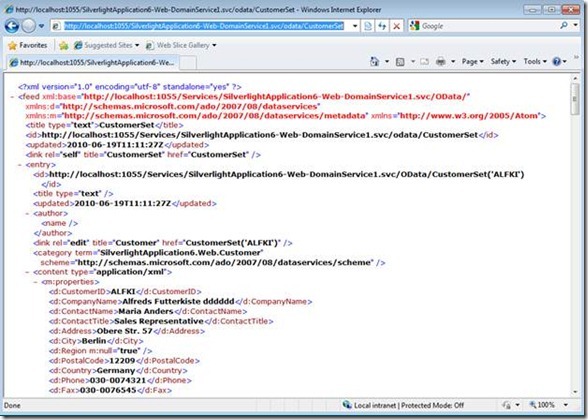 keynote I wrote an application on the fly showing how to write a WCF service and then call it from Silverlight asynchronously. Instead of posting the code, I figured that I would put up a walk through. 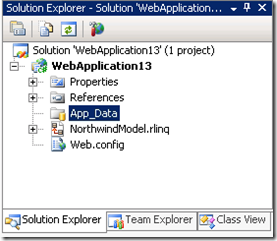 To get started fire up Visual Studio and start a new Silverlight 3.0 project. 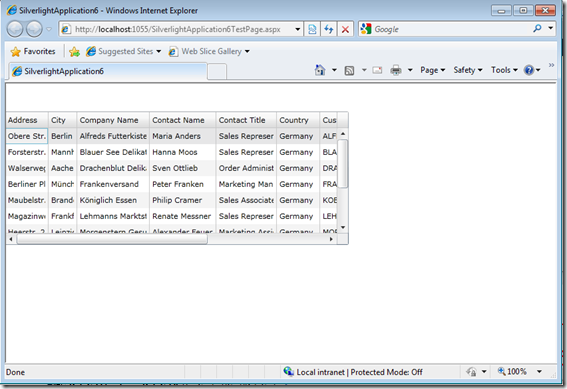 In order to use Silverlight 3.0 you will need the Silverlight 3.0 SDK installed. 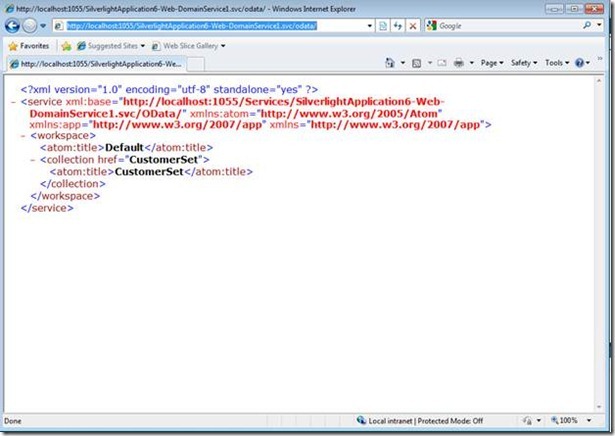 Once you have the new Silverlight application up and running you should have two solutions up and running, one with the Web host and one with the Silverlight XAML files. 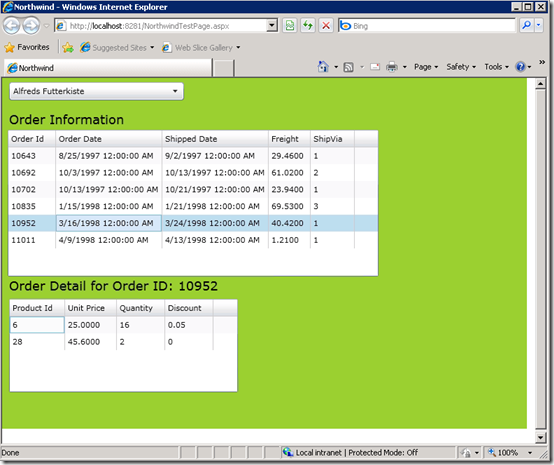 Right click on the Web project and choose Add|New Item and choose WCF Service. Once you select the WCF Service, give it a name, I chose Basta1, but you can name it whatever you want. 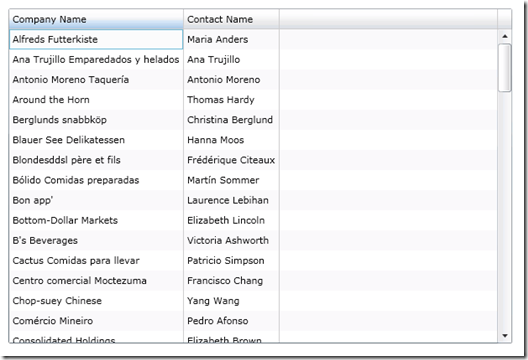 Next you will be brought into the interface file or Iyourservicename.cs. 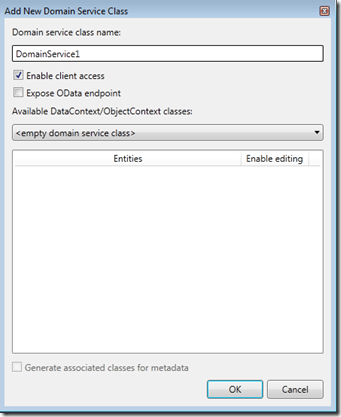 Here you have to define your POCO class as well as the method signature of your service. This is the definition of our “POCO” or “plain old CLR object” class. 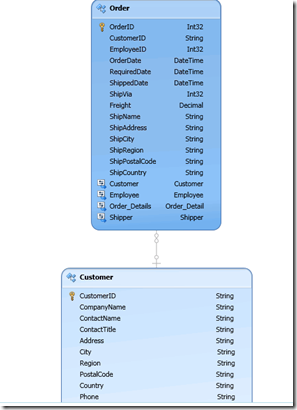 No attributes or any logic about the underlying database, just a simple CLR object. 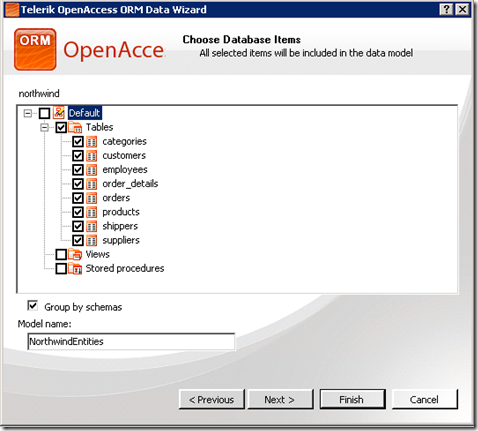 I am using a pretty simple design here, so if you are looking for some more complex demos or examples of using databases and ORM, check out my blog series on the Telerik WCF OpenAccess Wizard. Now we have to define the WCF service contract. I will create a simple method, ReturnRockBands that will return a List of RockBand. 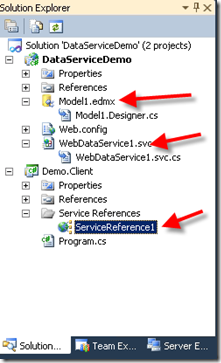 Here we just define the method’s interface, we will implement the method in the service class. Now just save (and compile) the project and let’s move into our client. 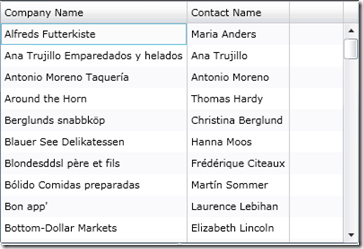 We will create a simple Grid and a button in our XAML. 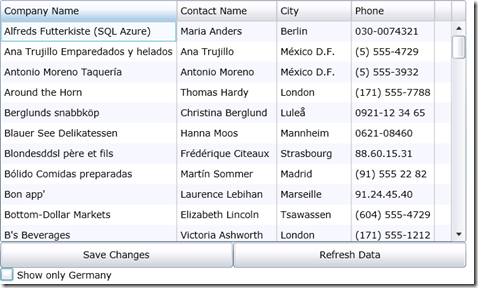 When the user clicks on the button, we will call the WCF service and bind the data to the grid. Pretty simple application, but I just want to demonstrate how easy it is to do. A real application is not that much harder. 4:  <Button Name="MyButton" Content="Push Me!" Click="Button_Click"
Since we defined a Click event for the button in line 4, let’s go into the C# code behind and call our WCF service. But first we have to set a reference to our service, we do that by right clicking on the “references” item in our solution and say “Add service reference.” Choose the reference we just created (by hitting the discover button) and we are good to go. Now we have to do two things. 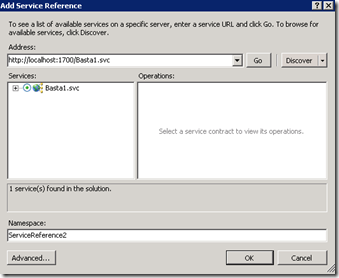 First we have to set up a reference to our service proxy that was just created. This is done in line 3 and then we have to set an event to fire when our asynchronous call to the ReturnRockBank completes. 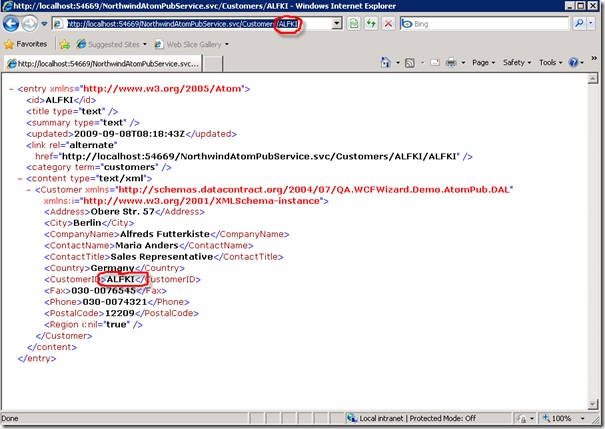 This is done on line 4 and the method name to catch the event is called wcf_ReturnRockBanksCompleted. Lastly we call our WCF service’s method in line 6. Notice that the proxy added the “async” suffix to our method. Now we have to catch this event when it is done firing. We do that by implementing wcf_ReturnRockBanksCompleted. 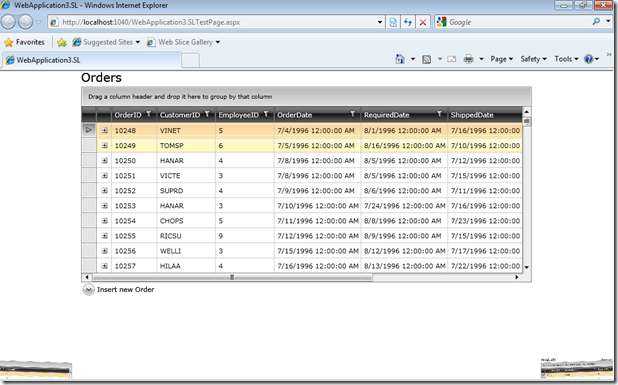 Then all we have to do is bind our data grid to the “result” in the event arguments (line 4). Now to make this a “real” application that is not hard coded, all you have to do is create WCF services for your CRUD methods and fill your POCO object with data from your database. There are tons of different approaches to doing that, you can check out some methods in my blog post here. The following video shows how to use the updated Telerik OpenAccess WCF Wizard with ATOMPub services via the WCF REST Starter Kit. The video is done by .NET Ninja in training Peter Bahaa and uses the same ATOMPub project I showed yesterday on my blog. Enjoy! Telerik OpenAccess WCF Wizard: How-to Video #5: ATOMPub Property Selection from Stephen Forte on Vimeo. Last week I showed how to use the Telerik OpenAccess WCF Wizard to automatically create a feed in Atom Syndication Format using the WCF REST Starter Kit’s Visual Studio project templates. Based on the feedback we have gotten from the community on the ATOMPub projects, Telerik has refreshed the WCF Wizard (go download it now) to enhance the ATOMPub projects. Let’s take a step back first. 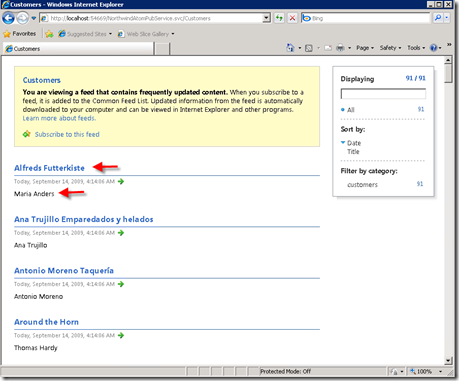 The Atom Syndication Format is for feeds, similar to RSS. So when you run the project that we looked at in my blog last week in default IE 8 (or IE 7) feed view, it would look something like this. This is no different from what my feeds look like from CNN and ESPN, etc. 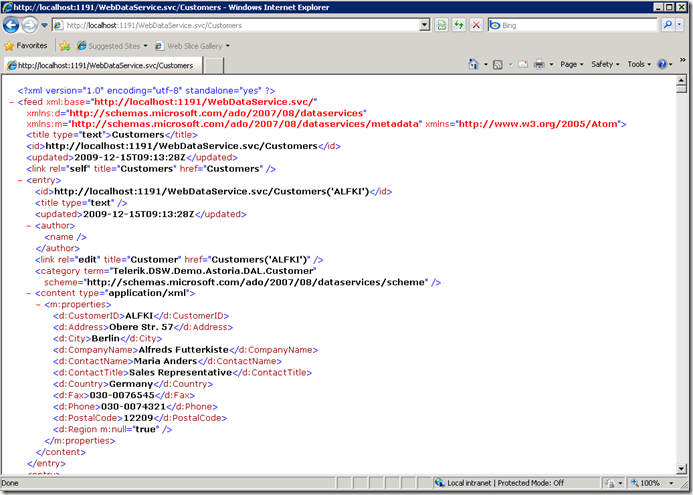 If you go back to IE settings and turn off feed view (which I always recommend when working with Astoria, REST Collection, and ATOMPub services) you can view the raw XML. 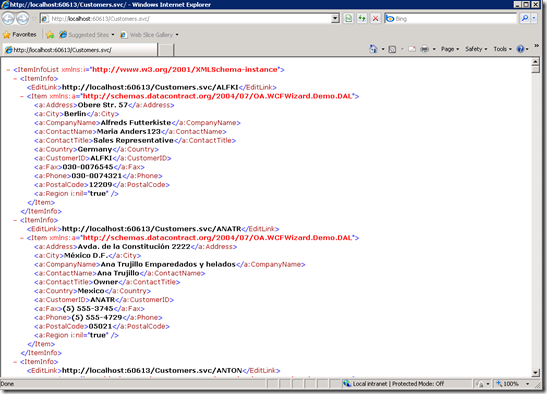 As shown in raw XML ATOM feed below in lines 3 and 4 you can see that the Company Name and Contact name were randomly placed into those fields (and that is how IE uses that data to display.) Well it was not randomly selected, I just hard coded those two fields in my demo. For applications these two fields are usually ignored. But it would be nice to have them set to something useful. 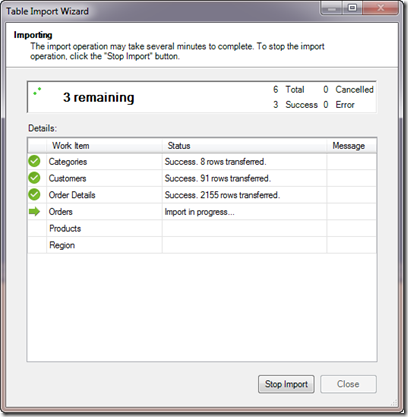 The latest version of the WCF Wizard will now give you a dialog, so you don’t have to alter the code at all. 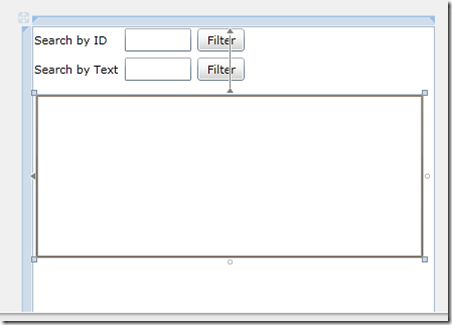 As you can see from the screen shot below, the wizard now gives us a drop down so we can choose which property to expose in feed view as the title and description. So just to be different, I will choose the company name as the title and the Address as the description. 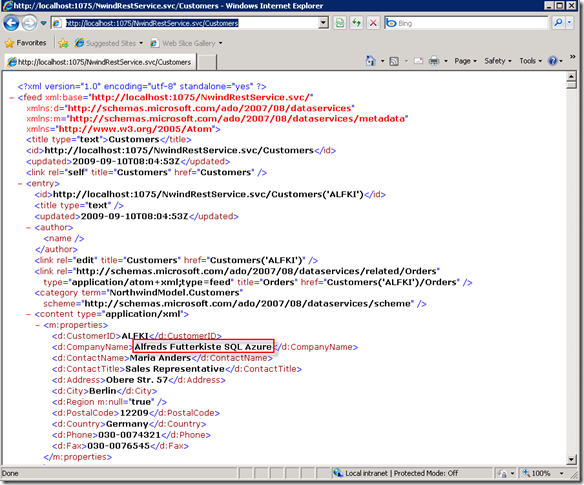 When we look at the raw ATOMPub XML you will see Company Name and Address in lines 3 and 4. 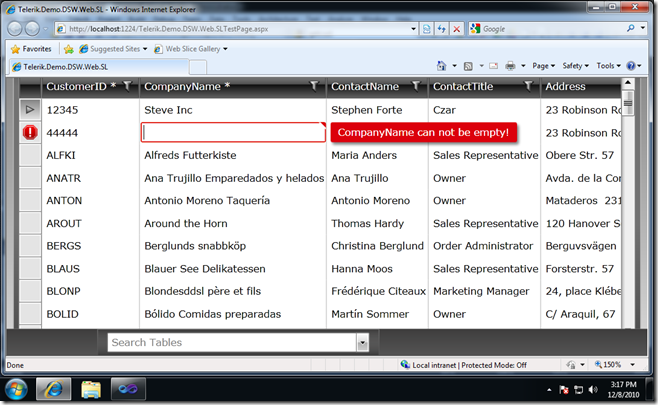 If you view the service in feed view in IE, you will now see the Company Name and Address as the title and description. The following video shows how to use the Telerik OpenAccess WCF Wizard with ATOMPub services via the WCF REST Starter Kit. The video is done by .NET Ninja in training Peter Bahaa and uses the same ATOMPub project I showed yesterday on my blog. Enjoy! 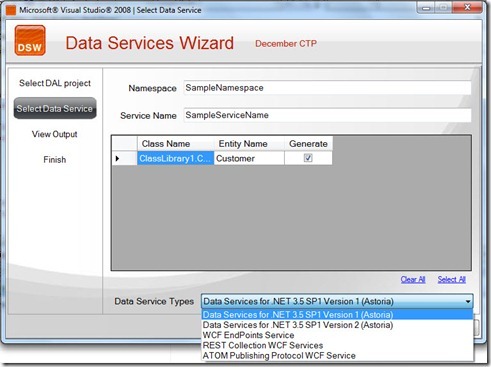 Telerik OpenAccess WCF Wizard: How-to Video #4- AtomPub from Stephen Forte on Vimeo. Feeds are part of what power Web 2.0. You can use RSS or ATOM to syndicate your content and allow readers to subscribe to your content. It is what powers Twitter, Facebook, as well as CNN and the New York Times. ATOM is a popular alternative to RSS. Just about every blog and “RSS” reader will support ATOM. When you are talking about ATOM, you actually are talking about two things: Atom Syndication Format, an XML language for feed definitions, and the Atom Publishing Protocol, a very simple HTTP protocol for creating and updating feed based content. The WCF REST Starter Kit allows you to create services that will produce an ATOM feed or expose your data as a service via the ATOM Publishing Protocol. 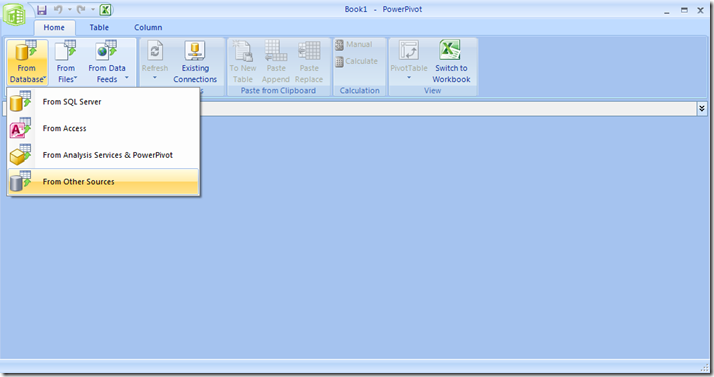 The WCF REST Starter Kit gives you a Visual Studio template to get your started. 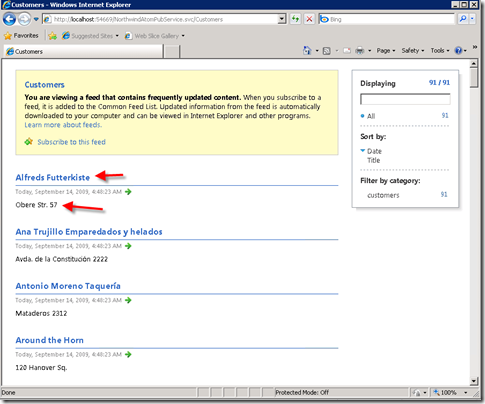 You can use Telerik OpenAccess as a data source for the collections of your ATOMPub service. 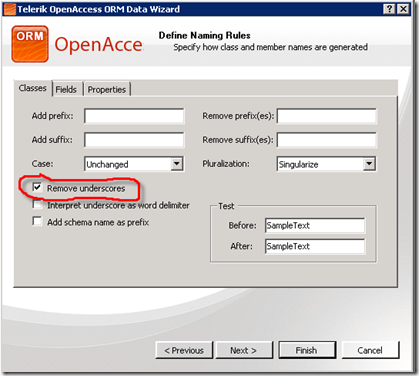 To do so you have to wire up some code in your svc file back to your OpenAccess entities. 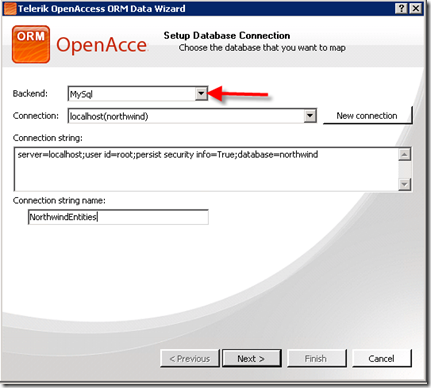 This can be accomplished by using the OpenAccess WCF Wizard. 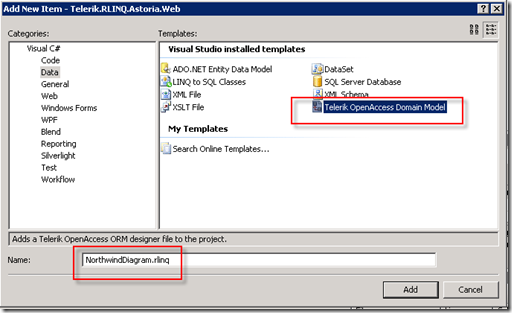 To get started, let’s create four projects in Visual Studio, one data access layer using OpenAccess, one AtomPub service project using the new WCF REST Toolkit Visual Studio template, and a Silverlight Web/Client. http://localhost:54669/NorthwindAtomPubService.svc/Customers will return a list of all the customers and if you add an /CustomerID to the end of the URL like this: http://localhost:54669/NorthwindAtomPubService.svc/Customers/ALFKI then you will bring up one individual customer. 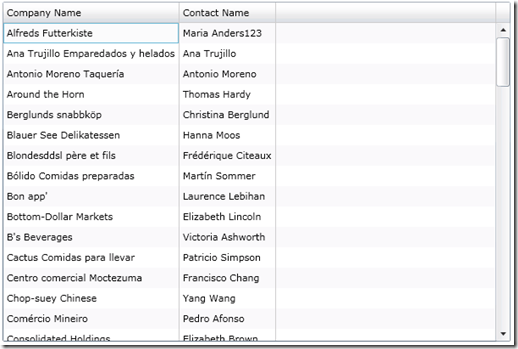 After you build your XAML grid, let’s set a service reference to the AtomPub service and then start to write some code. Just like before, I will have a LoadData() method to fill the grid. Of course being Silverlight it has to be asynchronous. Here is the code. This code is easier than it looks. We start off with a HTTPWebRequest for the service (line 6-7) using an HTTP GET (line 9) and a code block to handle the async call (starting on line 11) . This code block works similar to a callback method. Inside the code block we catch the HTTPWebRequest asynchronously and get the results into the implicitly typed local variable var on line 19. After that is just basic LIST stuff, filling the list and adding it as the source of the dataGrid. Pretty easy. Since that was so easy, let’s shake it up a little bit. 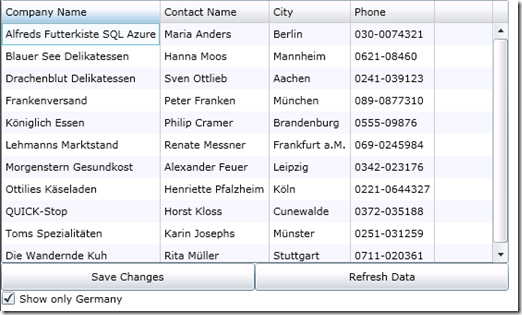 How about we make the backend database be SQL Azure instead of SQL Server 2008. You can get the WCF REST Starter Kit here, the Telerik OpenAccess WCF Wizard here, and the code from this blog post here. Developers have been using the REST specification for some time. 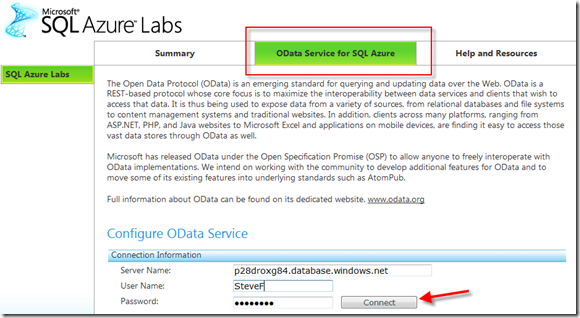 If you are using Microsoft tools, ADO.NET Data Services aka Astoria is a very popular way to work with REST data. 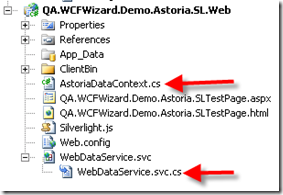 What you may not know is that Astoria works on top of WCF and you can write your own REST services outside of the Astoria model using WCF. WCF 3.5 SP1 gives us quite a few hooks to build our own RESTful services, however, it still takes a lot of manual wiring up by the developer. By now you all should know that I hate plumbing code. REST Singleton Service-Produces a service that defines a sample singleton resource (SampleItem) and the full HTTP interface for interacting with the singleton (GET, POST, PUT, and DELETE) with support for both XML and JSON representations. REST Collection Service-Similar to the REST Singleton Service only it also provides support for managing a collection of SampleItem resources. Atom Feed Service-Produces a service that exposes a sample Atom feed with dummy data. AtomPub Service-Produces a fully functional AtomPub service capable of managing collections of resources as well as media entries. HTTP Plain XML Service-Produces a service with simple GET and POST methods that you can build on for plain-old XML (POX) services that don’t fully conform to RESTful design principles, but instead rely only on GET and POST operations. While the REST Singleton is interesting, it is only useful if you are exposing one item, so the REST Collection is more suitable for interaction with a database driven dataset. The Atom Feed template is interesting but it is more useful if you are building feeds similar to RSS, so the AtomPub Service is more useful. The POX is a good option if you need to do something custom. While the REST WCF Starter Kit also provides some client libraries for easier interaction with your RESTful data, we will focus on the creation of the services. 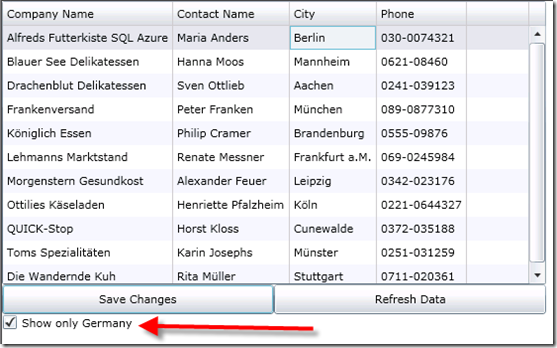 You can use Telerik OpenAccess as a data source of your REST Collection service. To do so you have to wire up some code in your svc file. Sound like a lot of work? 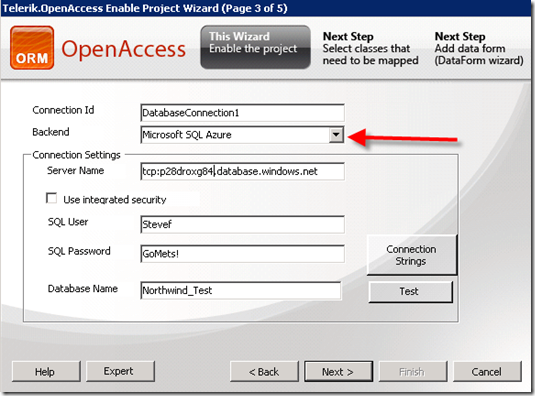 Enter the OpenAccess WCF Wizard I wrote about before. 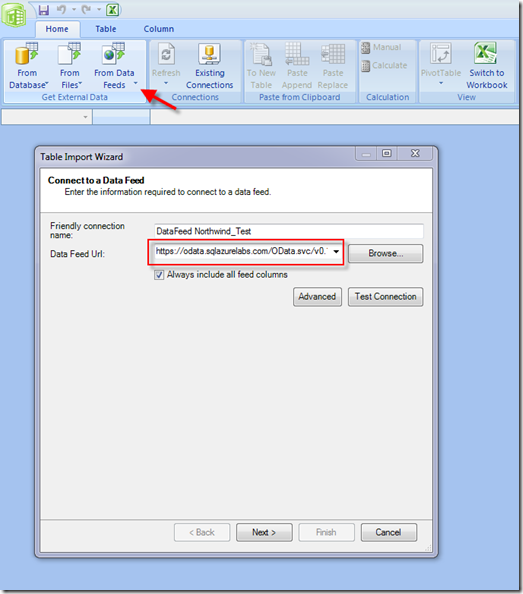 I will create a LoadData() method to load the data on the page load or a “refresh” button event. Being Silverlight, of course we will use some asynchronous processing. First we have to set a reference to our service in lines 4 & 6. Then we tell the HttpWebRequest to use an HTTP GET (line 8), this is the power of REST, it uses the standard HTTP requests (GET, POST, PUT, DELETE). 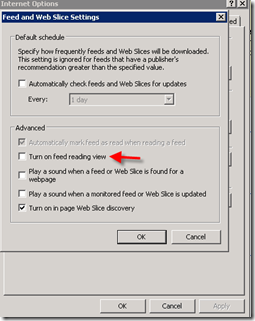 On line 10 is where we begin our asynchronous call to ReadAsyncCallback() shown here. ReadAsyncCallback() is the handler for the asynchronous call we did in LoadData(). We obtain a reference to the HttpWebRequest (lines 5-6) and then get the results back in line 8. 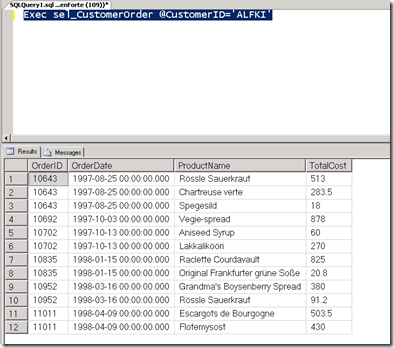 Then we use a code block to build an ObservableCollection of Customers and fill them in a loop of the results (lines 15-18) and bind the data to the grid in line 20. 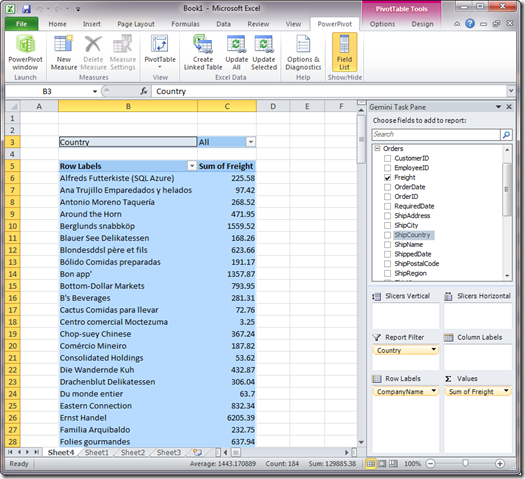 The results are data binded to a grid as shown below. Since Silverlight doesn’t support HTTP methods that do an update, we can’t do updates without a wrapper on the server. So we will stop the demo with just the read operation. 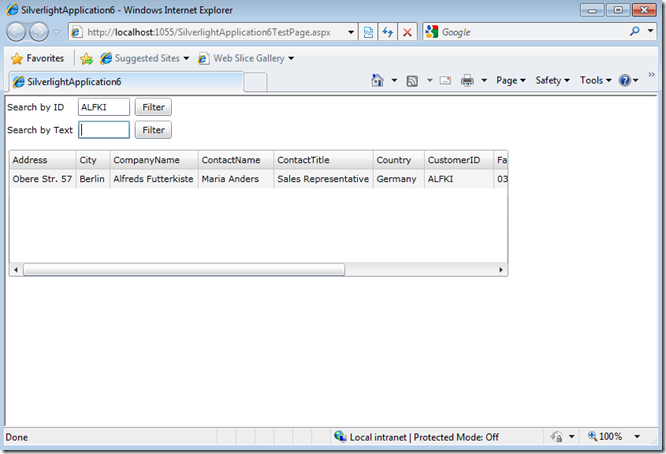 Remember, if you are using a non-Silverlight client such as ASP.NET you can use the HttpClient and HttpMethodExtensions classes for an easier client coding experience. 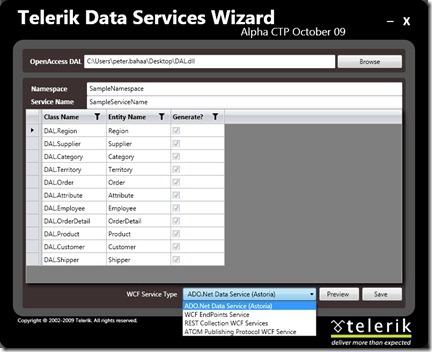 Grab the Telerik OpenAccess WCF Wizard here and the sample code from this blog post here. 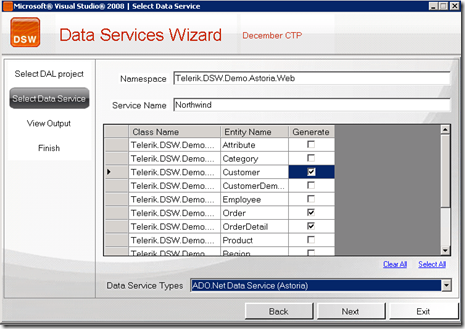 The following video shows how to use the Telerik OpenAccess WCF Wizard with ADO.NET Data Services. The video is done by .NET Ninja in training Peter Bahaa and uses more or less the same code I showed yesterday on my blog. Enjoy! 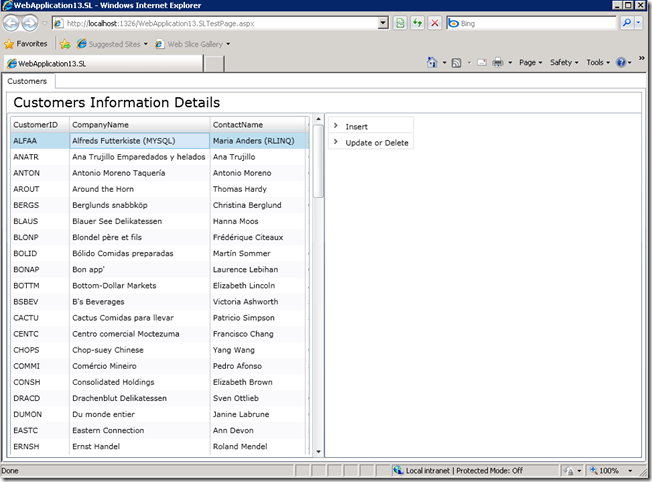 Telerik OpenAccess WCF Wizard Part II- Astoria from Stephen Forte on Vimeo. 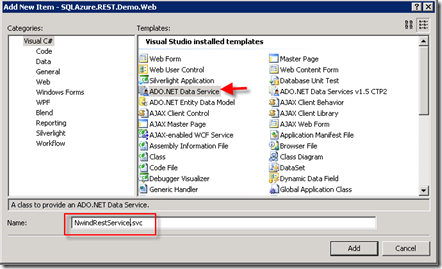 I have been a big fan of using the RESTful ADO.NET Data Services (aka Astoria). 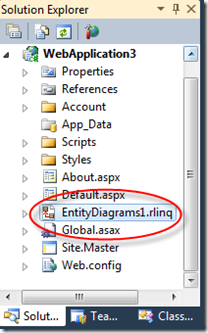 If you want to use Astoria out of the box without any modifications you really have to use the Entity Framework. But as long as you are using a data access library that supports IEnumerable and IQueryable (and IUpdateable to be useful for CRUD) you can use Astoria with just a little bit of extra work. The scope variable you see on line # 5 is an instance of IObjectScope. 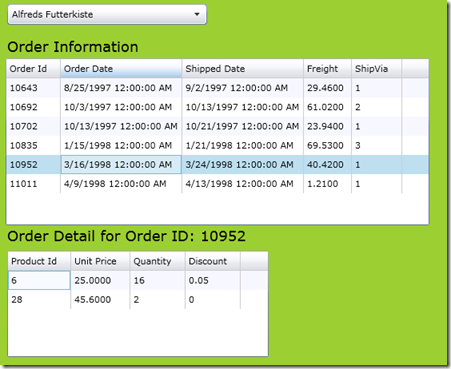 IObjectScope is how OpenAcces implements the actual data context. According to the OpenAccess team, you have to add a few extra lines of code with these IQueryable interfaces into an “OADataContext” class. To be honest, I don’t want to do that, too much plumbing code. 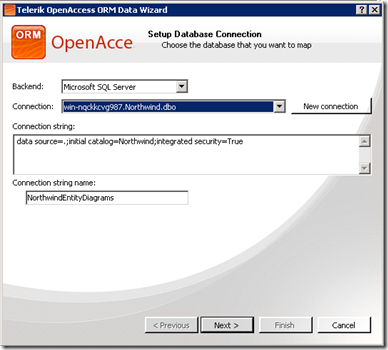 Enter the OpenAccess WCF Wizard I wrote about before. 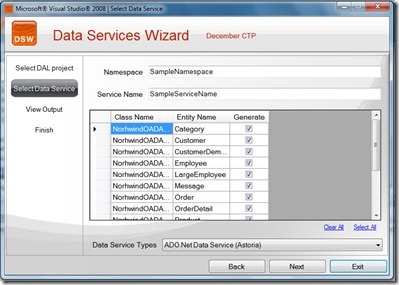 You can use the Wizard to generate the OADataContext file as well as the Astoria service file. 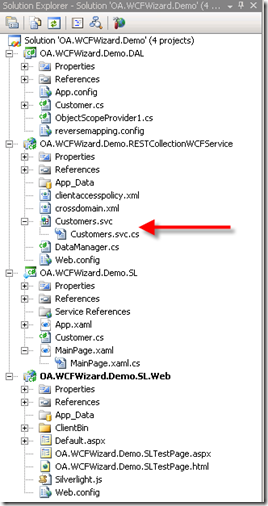 Just point the wizard to the DAL layer file and select Astoria from the menu and generate the files and add them to the project (it is ok to overwrite the original CS file supporting the SVC file, just make sure you have the correct namespaces). 9:          // This method is called only once to initialize service-wide policies. This is pretty standard Astoria stuff, line #13 does all of the Astoria magic. As I wrote the other day, you still have to use a service and call the service asynchronously. 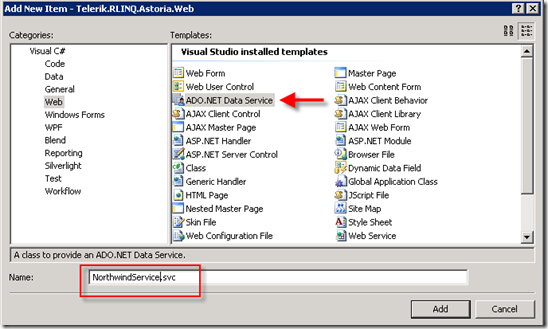 In our Silverlight application we will then set a service reference to our Astoria Service, allowing us to write LINQ statements against the RESTful Astoria service. Just like before we will have a LoadData() private method that our page load and “refresh” buttons will call. 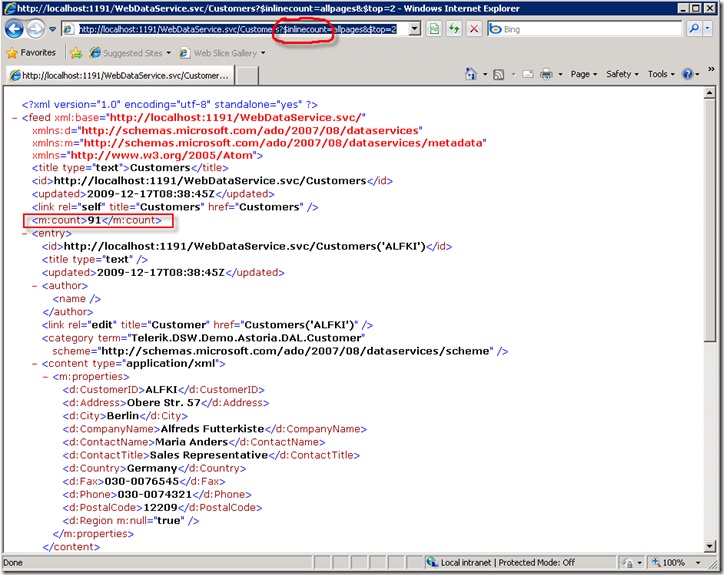 This will use LINQ to talk to the Astoria service and fetch all of the Customers. 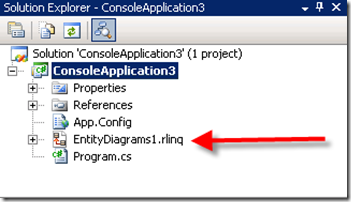 First we set up a LINQ data context (lines 4-5) and then a LINQ query (lines 8-9). Then we will use a code block (lines 13-14) to catch the async code (instead of a separate event handler) and perform the actual binding to the grid. We can also perform an update. 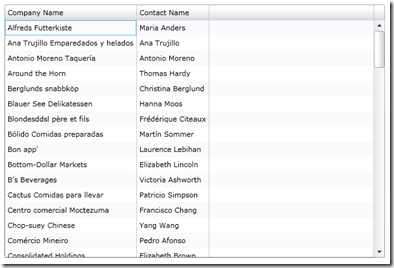 We have a global collection called editedCustomers and we trap the BeginEdit method of the Silverlight grid and put an instance of each row (a Customer) that was edited into this collection. 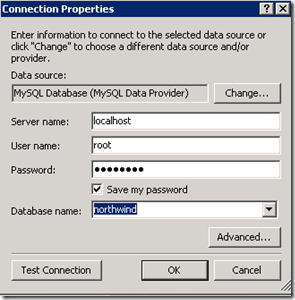 Then we provide an update button that will call UpdateData() shown below. 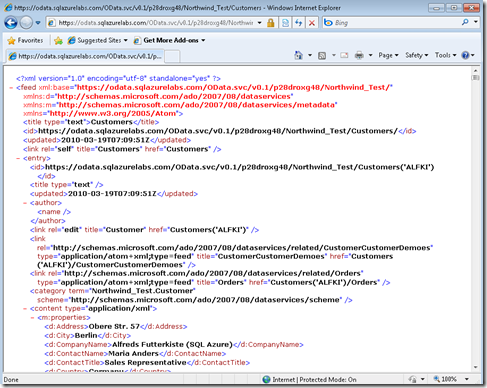 UpdateData() will loop through each dirty customer in the editedCustomers collection (lines 8-11) and update them using the Astoria LINQ services (lines 10-11). Inside of our loop we are doing another code block (lines 12-25) to catch the async update. We use a counter to figure out when we are done (lines 16-22), since in an async model, your 3rd update out of 5 can be the last one to finish! 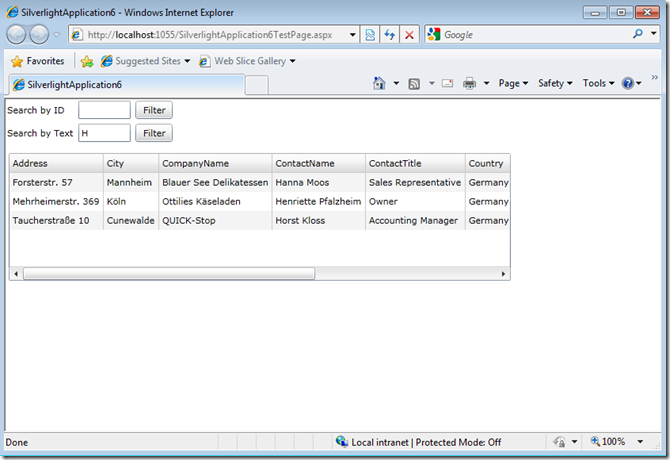 That is it to build an Astoria based Silverlight application using OpenAccess. 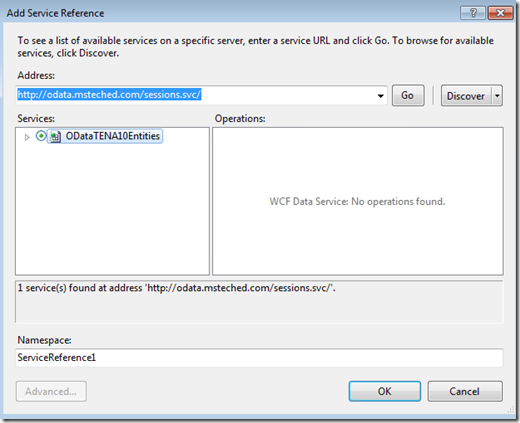 The OpenAccess WCF Wizard takes care of building the OpenAccess specific plumbing DataContext class for you as well as the Astoria service. Soon I will post another video by .NET Ninja in training Peter Bahaa on this demo as well as some more code examples using the WCF REST Toolkit and the OpenAccess WCF Wizard. The code is available here. Enjoy! 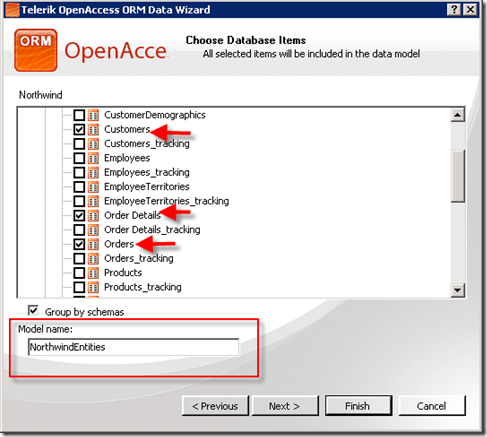 Here is a video by Peter Bahaa (aka Pedro), .NET ninja in training, using the wizard with the above scenario. You can get the code here. Enjoy! 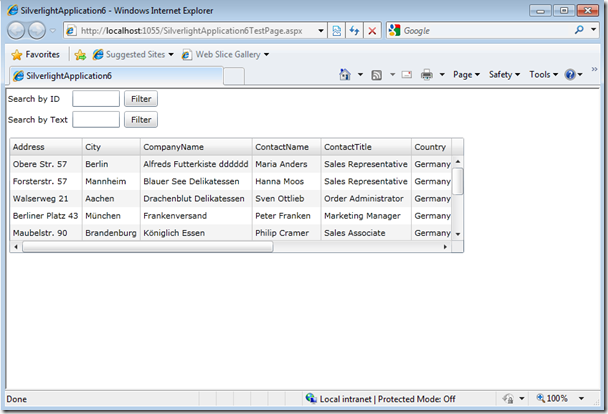 Microsoft’s Silverlight 3.0 is a great new platform for building line of business applications. With every new technology advancement, we always seem to lose something. 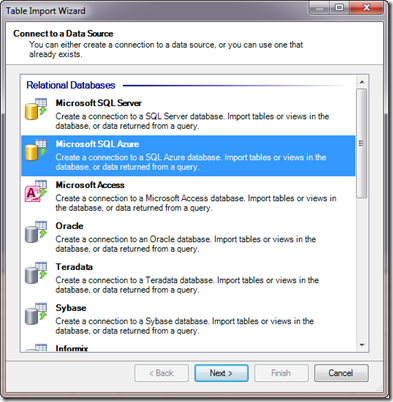 With Silverlight we lose the dirt simple data access since Silverlight does not support System.Data.SQLClient and talking to a database directly. This forces us into a service oriented architecture and an asynchronous model. While this is definitely a best practice, it sometimes takes a little getting used to. 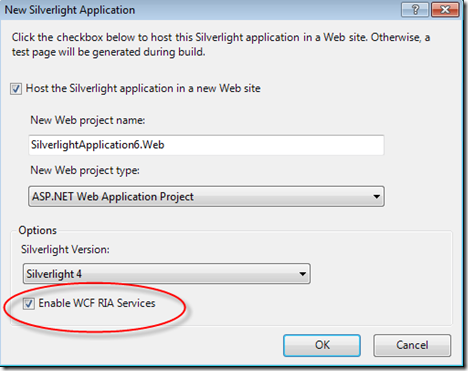 With Silverlight we have to wrap up our data access layer into WCF services. (Or Astoria, RIA Services, or something similar.) 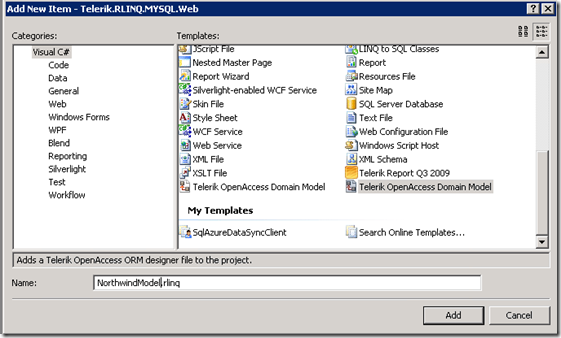 It is also pretty standard to use some kind of ORM like the Entity Framework or Telerik OpenAccess to map to your database tables and then expose those entities as part of your WCF service. 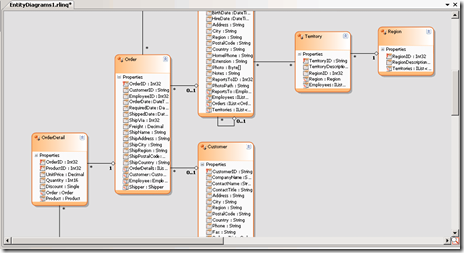 Mapping tables to entities may save you time, however, the part that bothers me is that there is a lot of generic “plumbing” code that has to get written for the WCF service to function. Using the wizard is pretty easy. 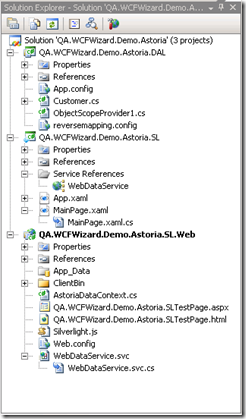 If you already have a project with OpenAccess mapped entities in it, all you have to do is point the wizard to that location and have it generate the scv and .cs files of the WCF service (or Astoria, REST Collection or ATOM Pub service) as shown below. 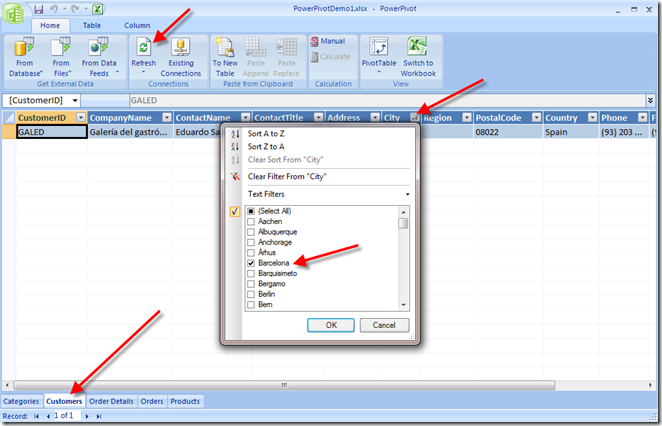 This will eliminate the need for you to write all of the WCF plumbing code. 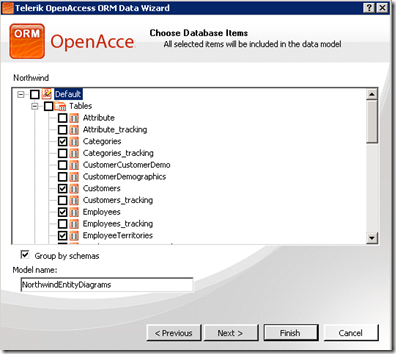 OA.WCFWizard.Demo.DAL is the project containing your OpenAccess entities (mapped to Northwind tables). Ok, so how can we easily consume this service and bring this data from Northwind via OpenAccess and WCF to the Silverlight grid? 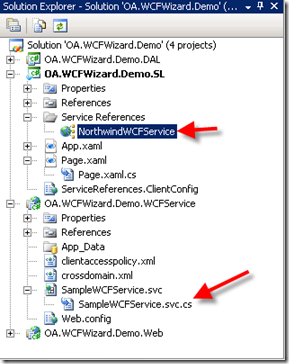 Once you have a service reference set up (NorthwindWCFService) in your Silverlight project, you have to do a few things to call it. I created a LoadData() method to contain the code to fill the grid. We can call this on the page load event as well as on the UI with a “refresh” button, or after any “save” method. 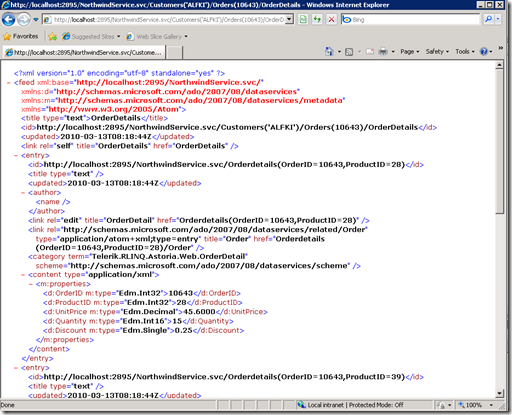 Inside of the LoadData() method, first you have to create an instance of the proxy or the “client” as shown in line 4 of the first code block below. 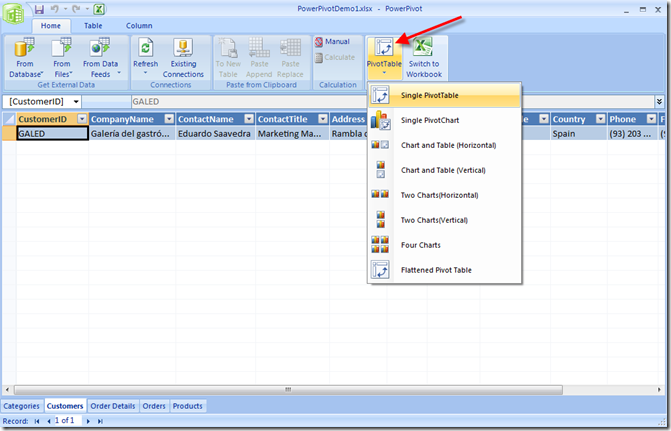 Once you have this set up, you then have to register an event for the method you are going to call, as shown on line 6 below. This means that when you call your ReadCustomers method asynchronously the client_ReadCustomersCompleted event handler will fire when the ReadCustomers method is done. This is where you put your binding code (more on that in a second.) Lastly we have to call our ReadCustomers method, we can only call the asynchronous version of this method as shown in line 9. The code for the event handler is pretty straightforward, we just set the datagrid’s DataContext to the e.Result of the event handler. This will contain an ObservableCollection<Customers> that was defined automatically for you via the proxy when you created your service reference. That is it! I will soon post a video here showing how to do this in more detail as well as an update method since our grid is editable (it is super easy.) 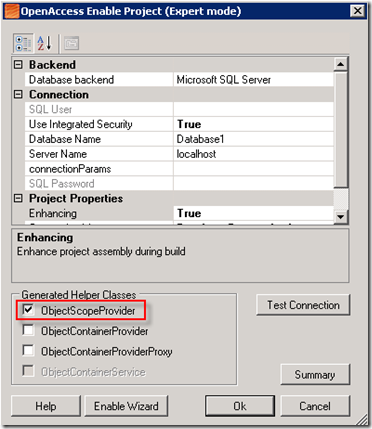 Next week I will show some examples using ADO .NET Data Services (Astoria) where the wizard will also automatically create the IObjectScope OpenAccess and Astoria plumbing code for you.